Add Face Value to Every Call! See and hear what every call is about before you answer. Let people learn about you when you create, express and publish your videos. Its the next step in video calling “Know then Answer” making cold calls much warmer. 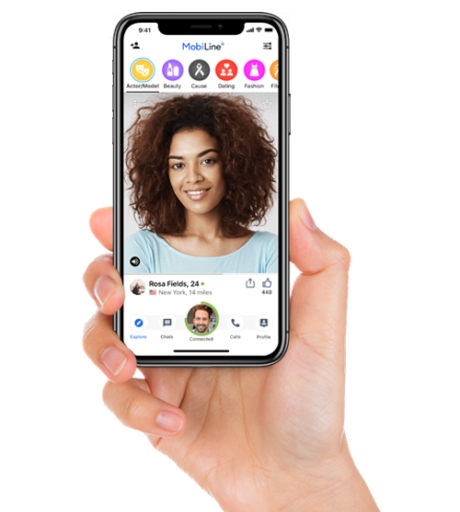 MobiLine features thousands of callers ready to meet you. Connect with people for casual conversations or if you’re looking for business opportunities. Download MobiLine and Connect Now! No more robocalls, spam or unwanted contact requests. Easy to navigate as you search, explore new connections and create video invitations and introductions. When people reach out, you’ll never miss another important call.